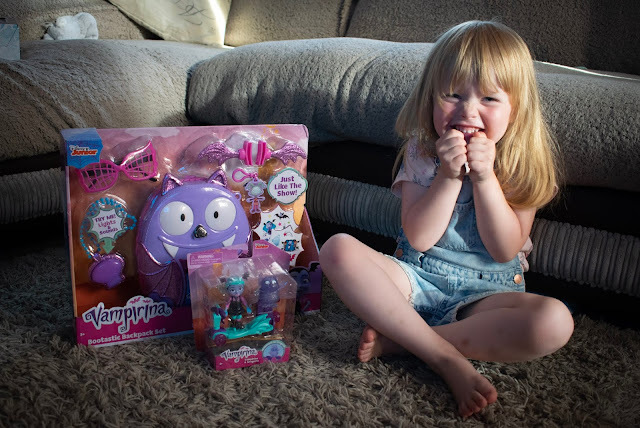 Emily was lucky enough to be sent some new Disney junior Vampirina goodies for us to review and she couldn't wait to try them out. As you can see from the look on her face, she was super excited! Isabelle was kindly sent a lovely package from Ravensburger. 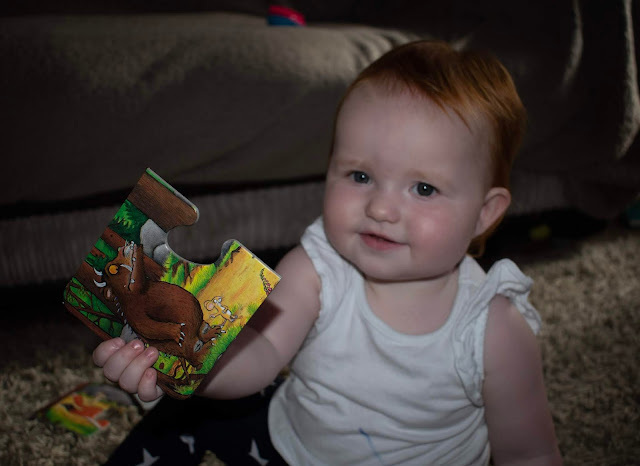 They kindly sent her The Gruffalo My First Puzzles. The set contains 9 two-piece puzzles which were aimed at children age 18 months +. Each jigsaw has a chunky illustrated frame, everyone is different and they all depict scenes and characters from the very much loved, and well-known book 'The Gruffalo'. 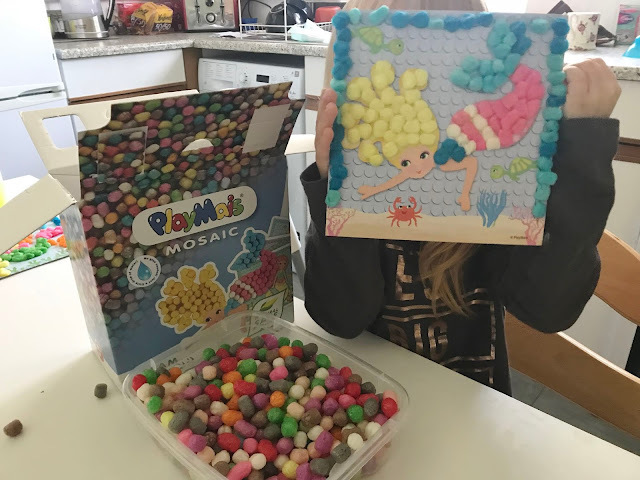 Emily was recently sent some PlayMais mosaic sets to try out, naturally, she picked the mermaid set, as she is currently obsessed with mermaids. Before writing this review I hadn't actually heard of PlayMais before which is actually a little bit of a shock because we absolutely love crafting in our house, and these are right up our street. 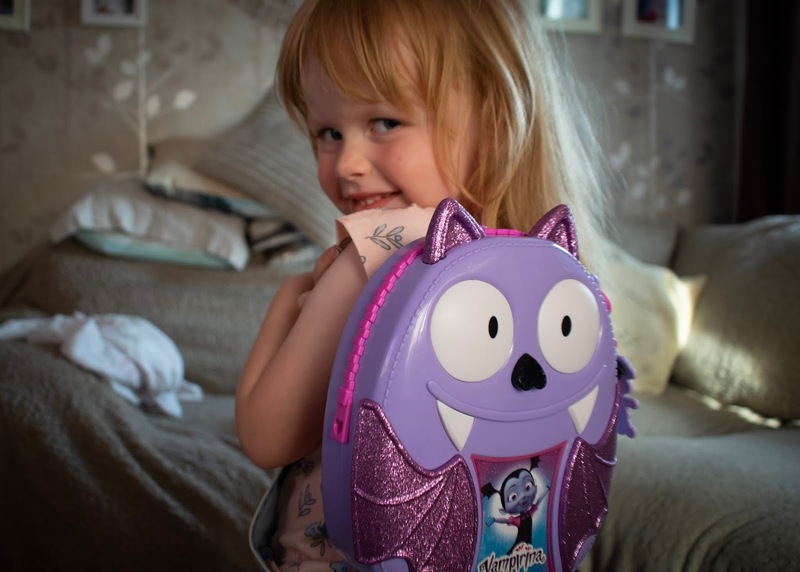 We are away on holiday in a couple of weeks, and I thought that I would put together a bag of things for the girlies to play with, and keep them occupied while we are there. I always pack snacks, and a few of their toys into our bags to take with us so they have something to play with in the apartment but I wanted to pack them their own little bag of things to take with us as a treat. 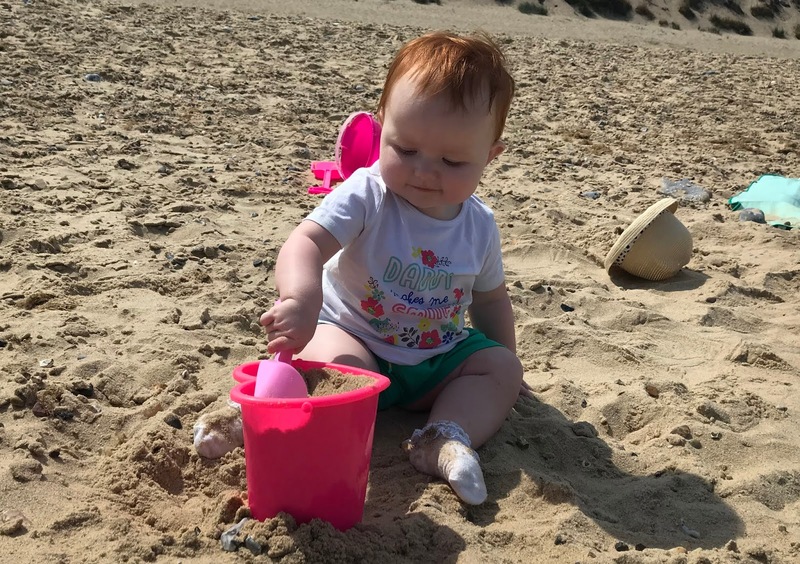 We recently took the girls on holiday to one of our favourite places, Hemsby. Which is about five miles from Great Yarmouth. It's somewhere Sam and I have always gone, we have pretty much gone every year since we have been together. We stayed in a friends caravan and had an amazing week, it was even better because we had absolutely amazing weather. I never expected it to be so warm, but I'm glad it was because we had a really lovely time. 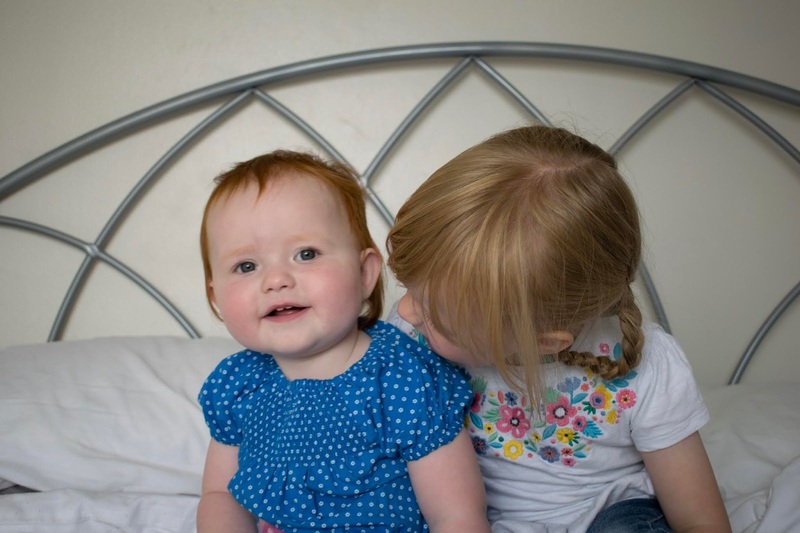 My girl's relationship seems to have really changed lately, they are both scrapping a lot more than they previously were. 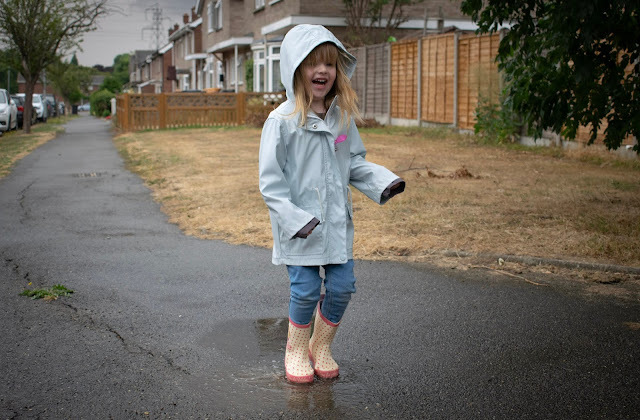 I'm not sure if it is the fact Isabelle is a lot more independent and on her feet lots more, or because Emily is on holiday from preschool, but it's driving me absolutely bonkers. They are still really loving towards each other and do get on really well, but they just seem to fight over the same thing constantly. I don't think that the age gap between them helps in the sense they are kind of into the same things, but Isabelle is more about bashing things and carrying them around, whereas Emily wants to sit and play using her imagination and she doesn't get much chance to with Isabelle stealing the toys as soon as she turns around.